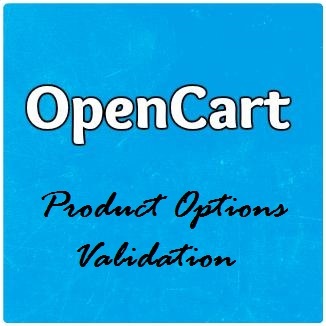 This tutorial is the second part of my previous post Product Option Validation in Opencart . In this tutorial we are going to cover the changes required to add the validation in the font end side. Before moving ahead, make sure that you read previous article and done the changes required for the admin section. Here, note that we have used one custom validation function called validateForm(). So you need to add the below function at last in this file inside the main class. The regex is just for the demo test, you can add any rule as per your requirement(if required). The second inside condition is for checking the length of the input characters. and add the below line just after that. That's it..!! You're done with the Front end section. Now create new product(or modify existing) and add the custom validation rule from the admin section and then go to that product in front end side. Check everything is working as expected or not. If you face any error or having any trouble with the implementation than make sure that you followed both of the articles for the product options validation correctly and even though you face any issue then feel free to comment in the below comment box, I will help you to sort it out your issues. 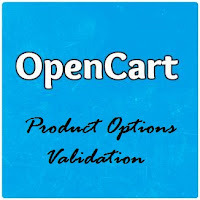 The concept presented here is very basic and just to show how you can add your extra validation rule in opencart with the only default required option. In real application or scenario you might need to modify this code to fulfill your requirements. Below are some of cases from my side that can be included in this concept. You can have conditional hierarchy of the rules also.